The Canadian Express Entry is a newly introduced and highly popular immigration stream that allows people to immigrate to Canada more efficiently than ever before. Check out the ultimate immigration guide here. The Canadian Express Entry System is a newly introduced and highly popular immigration stream that allows people to immigrate to Canada more efficiently than ever before. This exciting new program reached its 1-year mark since its February 2015 launch and has since accepted more than 40,000 immigrants into Canada. In order to qualify for this stream, candidates are required to submit their personal profile into a general pool which will include other candidates’ profiles. What makes this stream particularly exciting is the fact that it sanctions Canadian employers to access the Express Entry pool of potentials and recruit candidates that have the relevant skills or qualifications that they require. The different Canadian Provinces are also invited to make their own selections from the pool and recruit candidates to meet their local labor market needs through the Provincial Nominee Program. If the candidate scores high in the following categories, it is more likely that he/she will be selected in the Express Entry draw and thereafter be issued an invitation to apply for permanent residence in Canada. Should the candidate not meet the needed requirements, there’s always room for improvement in terms of refining their core human capital factors in the key areas such as your skills, work experience, language ability, and educational qualifications. In total, there are 1,200 points in the CRS but the amount of points required for entry into Canada is constantly decreasing – consequently making it easier for most to enter the country. Candidates will gain 15 points if they have an eligible qualification from a one-year or two-year post-secondary program. 30 points if the candidate has an eligible qualification of three-years or more, or a university-level program at degree, masters, or doctoral level. Candidates who have a valid work permit and employed in Canada under an international program such as NAFTA, for at least one year full time. Candidates who hold a closed work permit, such as those on an intra-company transfer, and have been working in Canada for at least one year full time. An Invitation to Apply (ITA) is what comes after the selection process. Should the candidate be selected during the Express Entry draw, then he/she will shortly after receiving an ITA for Canadian permanent residence status. The Express Entry draw is selective and only picks candidates deemed most likely to thrive in Canada and have a good chance of economic success. Candidates with a job offer in a senior management position with an LMIA will gain 200 points and 50 points if the job is in any other skilled occupation. 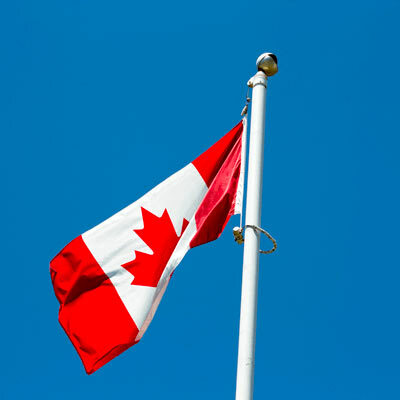 Once the candidate has received the ITA, they will have a maximum of 90 days to complete the online application for Canadian permanent residence. Do you want to come to Canada? At canadianvisa.org, we make applying for your visa simple. Fill out the form above and one of our account managers will call you to begin your Canadian visa application process.